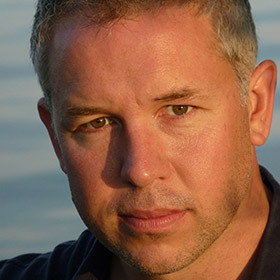 Simon Bailey was born in the UK and read music in Cambridge and at the Royal Northern College of Music. He subsequently studied at the La Scala Academy, Milan, where he was the winner of the Concorso Internazionale dell’Accademia del Teatro alla Scala competition, the Concorso Vocale Internazionale di Musica Sacra competition and was a semi-finalist in the Placido Domingo Operalia competition of 2003. Simon Bailey has received much praise for his interpretations of a diverse and eclectic range of over 100 principal roles and repertoire. A choral scholarship at Clare College, Cambridge preceded postgraduate study at the RNCM Manchester with Neil Howlett as a Peter Moores Foundation scholar, and at the Accademia del Teatro alla Scala in Milan. In 2002 Simon was invited by incoming Intendant, Bernd Loebe, to join the company of the Oper Frankfurt where he remained until 2015. 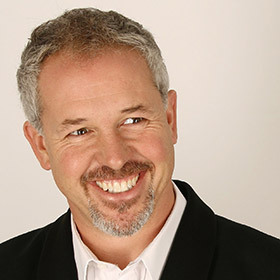 Simon has since developed a highly successful career on both the operatic and concert stages, in demand with leading opera houses and orchestras throughout Europe. Plans for 2017/18 and beyond include Shaklovity Khovánščina and Šiškov From the House of the Dead for Welsh National Opera; Mizoguchi in Mayuzumi´s Kinkakuji in Strasbourg; a return to Stuttgart for Kaspar Der Freischütz and Peter Hänsel und Gretel; Don Alfonso Cosi fan Tutte and Redburn Billy Budd in Frankfurt. Recent highlights include his debut as Jochanaan Salome for Oper Stuttgart; Kaspar Der Freischütz in London and Stuttgart; Ferrando Il Trovatore in Frankfurt, Papageno in Wiesbaden and Re di Scozia Ariodante in Stuttgart; Nicanor/Satan in Félicien David´s Herculanum for the Wexford Festival; the four villains Les contes d´Hoffmann with Oper Basel; Peter Hänsel und Gretel; Gunther Götterdämmerung at Oper Frankfurt; reprising the role of Leporello Don Giovanni for his debut at the Royal Opera House, Covent Garden and with Oper Frankfurt; Gelone L´orontea with Ivor Bolton in Frankfurt; Klingsor Parsifal, Ochsenschwanz Schwergewicht and Don Magnifico Cenerentola in Frankfurt. Bailey ended the 2015 season as Leporello once more, for the Menuhin Festival in Gstaad, Switzerland alongside Erwin Schrott and Veronique Gens. January 2016 saw him returning to the Royal Opera House, Covent Garden as Sirocco in Chabrier´s L´étoile and reprising the roles of Figaro Le nozze di Figaro and Achilla Giulio Cesare in Frankfurt. Simon also appeared as a last-minute replacement for Oper Frankfurt as Fernando Villabella in La gazza ladra, learning the role overnight, and in Stuttgart as the four villains Les contes d´Hoffmann. Further operatic appearances include the title role in Mozart´s Le nozze di Figaro at Teatro alla Scala; Méphistophélès in Terry Gilliam’s production of Berlioz’s The Damnation of Faust in Antwerp; Achilla in Giulio Cesare in Frankfurt and Lille; Don Bartolo Il barbiere di Siviglia and Procolo Le convenienze ed inconvenienze teatrali at Teatro alla Scala; Redburn Billy Budd at Oper Frankfurt; Don Basilio Il barbiere di Siviglia in Beijing; Truffaldino Ariadne auf Naxos at the Theater an der Wien and Zuniga Carmen for the Glyndebourne Festival. Previous and future appearances on the concert platform include Mendelssohn Elias in Gießen and Wetzlar; Walton Belshazzar´s Feast in Bad Homburg; Beethoven’s Missa Solemnis with the Tampere Filharmonia in Finland; Bach Johannes-Passion and Matthäus-Passion in Trier; Dyson´s The Canterbury Pilgrims for the Three Choirs Festival in Hereford; Handel Messiah with the Royal Society at the Royal Albert Hall; Elgar The Kingdom in Köln and Bad Homburg; Mendelssohn Paulus and Handel Jeptha in Maulbronn; the title role in Handel´s Saul at the Kölner Philharmonie; Haydn Die Schöpfung and Die Jahreszeiten in Dublin; Gurnemanz Parsifal in Bad Homburg and Wiesbaden; Sulpice La fille du Regiment and David L´amico Fritz in Moscow; Mussorgsky Songs and Dances of Death in Nagoya, Japan and the world premiere of Alisdair Nicolson´s I, Pilgrim for the St. Magnus Festival in the Orkneys. A keen recitalist, Bailey has recently performed Schubert´s Schwanengesang in Mainz, Cambridge and Monmouth. Simon Bailey won first prize in the Internazionale Concorso `Musica Sacra` 2005 in Rome, and received the Wales Theatre Award 2018 for Best Male in an Opera Production for his performance as Šiškov in From the House of the Dead.